When it comes to weekly pool service, we always focus on providing our customers with results that equate to a safe pool for their family and to protect their investment. A swimming pool is a large investment and even more your family and friends enjoy it during the summer. The last thing you want is a pool that is unsafe to use and may be incurring damage to the equipment and surfaces. As with all pool service customers and not just this specific one in Scripps Ranch, Ca, we pay the same attention to all of them equally. 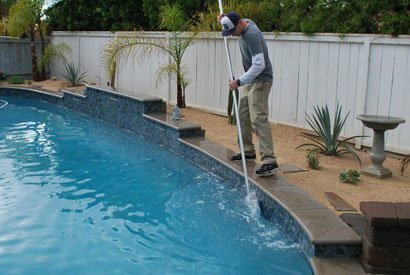 The pool cleaning process is seldom different in regards to the physical cleaning but when it comes to the pool water chemistry, that’s were it becomes unique. Below we will give a brief explanation of the specific points of focus when performing our weekly pool cleaning services. 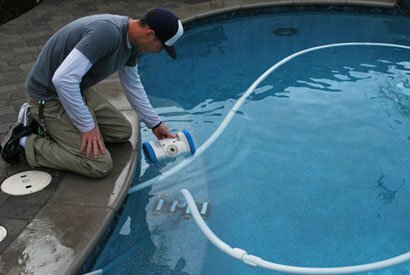 Checking water chemistry is the most important aspect when performing pool service. 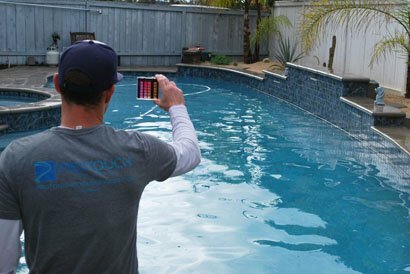 Testing the pool water chemistry at this house in Scripps Ranch or any other, we always check the basic and major water chemistry ranges. 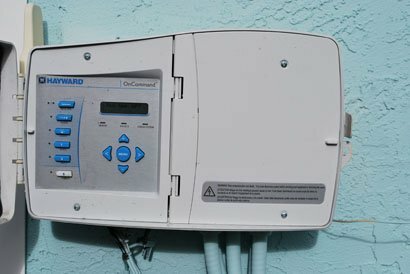 This is to ensure that The chlorine level, pH, alkalinity, phosphates and conditioner levels are at ideal ranges or so that we can adjust the water as necessary. Next the cleaning of the swimming pool consists of netting the pool surface removing any leaves and debris that is floating, then we will add a small amount of soap to our tile brush and clean the pool tiles of any oils and loose debris. That is followed up by setting up the pool vacuum and cleaning all of the surfaces removing any debris and loose dirt. Once the pool vacuuming is complete, we will brush all of the pool walls as needed. We then clean both the swimming pool skimmer and filter pump basket. The last step in weekly pool cleaning is to do a final net, cleaning anything left floating and to add all necessary pool chemicals. 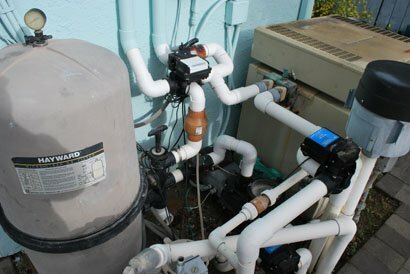 Now that the pool has been serviced, we will check that this Scripps Ranch pool service customers pool equipment is working properly and check the filter pressure to see if it may need a pool filter clean. 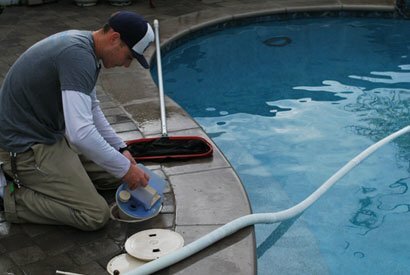 As part of our weekly pool cleaning service, we also perform periodic pool filter cleans and any random pool equipment repairs or new equipment installation. We are a full service, pool repair and new pool equipment installation company that works in Scripps Ranch and most other cities of San Diego County.